Based on all the good things I’ve heard about this book, I expected to like it more than I did. I did enjoy this book, and I thought it was touching, but it didn’t blow me away. I was happy to be reading it, but when I put it down, I didn’t feel the urge to pick it up again. I don’t know why- maybe because I knew how it was going to end. The book discussions and the moving story kept me going, though, and I am happy that I read it. This is a good book if you are a book lover, or if you’re looking for an inspirational read full of life lessons. In the book, Will and his mother have their own little book club, just between the two of them. Reading and talking about books was a way for them to talk about meaningful things that might not otherwise have come up in their everyday conversation. The list of books they read together is impressive and can be found in the index at the back of the book. And, who can resist all the lovely quotes about books and reading? This is just a small sampling. You could say that the book club became our life, but it would be more accurate to say that our life became a book club. That’s one of the things books do. They help us talk. But they also give us something we all can talk about when we don’t want to talk about ourselves. … whenever you read something wonderful, it changes your life, even if you aren’t aware of it. We’re all in the end-of-our-lives book club, whether we acknowledge it or not; each book we read may well be the last, each conversation the final one. … I came to realize that the greatest gift of our book club was that it gave me time and opportunity to ask her things, not tell her things. So many great books were mentioned in this memoir, but I have to say that I was happiest when he talked about The Story of Ferdinand. I was hoping to read one of my daughter’s books over the holidays this year, and this is the one that I chose. I was curious about all the hype it got earlier in the year. This novel was good, and I can see why people like it; the writing is compelling, the story is mysterious, and there are twists in the plot, but there was just something about it that I wanted to rush through. The message in We Were Liars, underlying the haunting and devastating storyline, is of forgiveness (I think). But, because we don’t know what has happened until the end, most of the book is filled with teens behaving like teens and adults behaving like children. I don’t want to give any of it away, so that is all I will say. We Were Liars was a fun, quick read for me at a busy time of year, and now I will be able to talk with my daughter about it once she’s read it. If she’ll let me, that is. I think, next time, though, I will read one of her John Green novels. I did like A Fault in Our Stars. After reading Mãn a few months ago, I became interested in reading her first book, Ru. I had heard that it was even better. Then, it showed up on this year’s Canada Reads list, which gave me the little push I needed to finally read it. Ru tells the story of a Vietnamese family who escape the war in their country, and come to settle in Canada. It goes back and forth between their new lives in Canada and their old lives in Vietnam. I found it similar to Mãn in both the writing style and the content. The story and circumstances are different, but the characters are still immigrants, trying to figure out how to fit in and live in their new country. I love learning about the cultural differences between the two countries. Ru tells more about the refugee experience; having to leave your country of birth because of war and come to a new country and re-invent yourself. How do you do it? How does it affect you? What scars do you carry? Alone as much as together, all those individuals from my past have shaken the grime off their backs in order to spread their wings in plumage of red and gold, before thrusting themselves sharply towards the great blue space, decorating my children’s sky, showing them that one horizon always hides another and it goes on like that to infinity, to the unspeakable beauty of renewal, to intangible rapture. Another moving and poetic novel by Kim Thúy that would appeal to anyone who loves language, history, and culture. I love all of those quotes from The End of Your Life Book Club! I’m glad you enjoyed We Were Liars, it definitely lived up to the hype! We Were Liars was a fun read, for sure, and it was fun for me to read something a bit different from my usual. It’s hard to beat reading and book quotes! A book a day! Wow! She must have lived in that purple chair. Thanks for the recommend – I’ll definitely check it out! I’ve heard great things about Kim Thuy, so it’s interesting to read your thoughts on Ru. I can see why you’ve described the novel as poetic as the quotes read a little like a prose poem. Beautiful writing. If you love beautiful writing, then I would definitely recommend Thuy’s books. I liked them both, but I think I preferred her second one (maybe only because it was the first one I read). Most people I’ve heard from prefer Ru. I loved The End of Your Life Book Club! In fact, all members of the book club I facilitate in Indiana loved it! I’ll probably read We Were Liars at some point in time, but I can highly recommend Looking for Alaska by John Green! I liked Paper Towns, too, but loved LfA! And The Fault in our Stars…well, that’s an enduring classic, in my opinion! (I really need to review the other two on my blog sometime soon!) Have added both of Kin Thuy’s books to my TBR list–they look like good ones! Thanks for sharing! 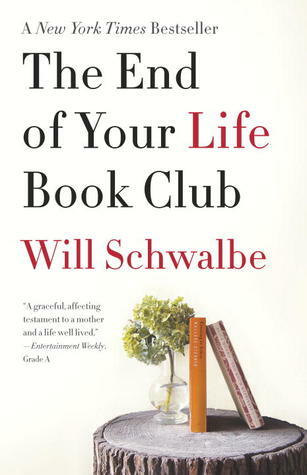 Everyone loves The End of Your Life Book Club so ,such that I was disappointed that I didn’t like it more. I’m still glad I read it, though. My daughter has both of those John Green books, so I will probably read them both eventually. Both of Thuy’s books are very good. I hope you like them! 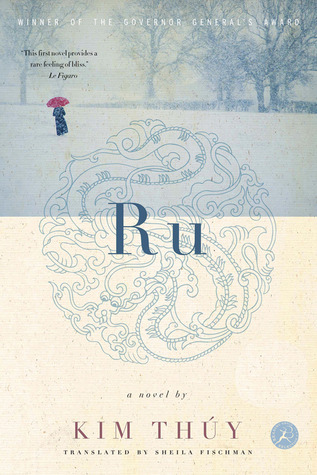 I read Ru when it was on the Giller Prize list a couple of years back and quite enjoyed it. 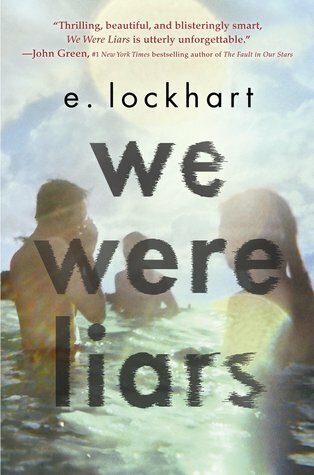 And glad to see you liked We Were Liars — it was my “fun” read of the summer. Have you read Man, as well? I’m curious to know if someone else found them similar, or if was just me. No, not read Man. Have to be honest and say that I didnt really like Ru enough to pursue her other work. Oh this makes me really want to read Ru! I think reading We Were Liars was a really good idea for the 2 reasons you mention: it was a busy time of year and now you can talk about it with your daughter. I love being able to talk about books with my younger sisters! I love coming away from books knowing a little more about the world. And, the writing is beautiful. Hmm, I haven’t read any of these, but the last one sounds the most to my taste. The last one was the best one, in my opinion. I read mixed reviews for both The End of Your Life Bookclub and We Were Liars, so I wasn’t surprised at your thoughts. What did your daughter think? I really loved Man, but to hear Ru is so similar makes me want to hold off on reading it. My daughter hasn’t read it yet. She got a bunch of new books, and hasn’t gotten through them all yet. Younger people might like it better than I did. Sometimes I get impatient with young characters. I’m liking the old ones these days. Right now, I’m getting to know Hagar Shipley. You know, I had the same reaction to The End of Your Life Bookclub. I was *very* excited to read it and then there were all these rave reviews but in the end it just didn’t touch me the way I had hoped. I felt a bit of distance in the writing, I think…as though maybe the author didn’t really push himself all the way emotionally when writing about his mother’s illness and death? I couldn’t quite put a finger on it but I think that could be why. I will check out your other 2 books, which sound very interesting! Oh, I love it! Do it! So glad to read you like Ru. I have read both of Thúy’s novels and while I liked each of them, I prefer Ru. There’s a very lyrical quality to Thúy’s writing, which I think her translator, Sheila Fischman, preserves beautifully. (I have become a huge fan of Fischman’s work!) I found the way Thúy played with memory to be very similar between the books. Her style is quite distinct, I think. I’m interested to see what she does next. I own the other two books you included in this review, so was happy to read your thoughts on them! It’s good to hear your opinion on the similarities between Ru and Man. I found the writing style similar, but one that I like, and, yes, the way they go back and forth between the present and the past. I also found that I learned different things about Vietnam from each book. They complement each other well. If you like one, then you will probably like the other. Thanks for commenting! Naomi I love your blog. You almost always have a book for me to read. I’ve read Man and enjoyed it so now I’ve ordered Ru. Keep up the good work.